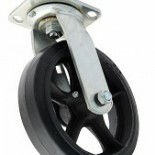 Material handling casters and general purpose casters are typically light duty casters or medium duty casters. Light and medium duty casters are used in a variety of applications. 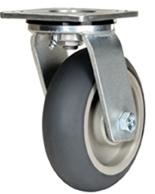 Most medium duty casters and wheels are available with swivel casters, rigid casters, and braking casters. 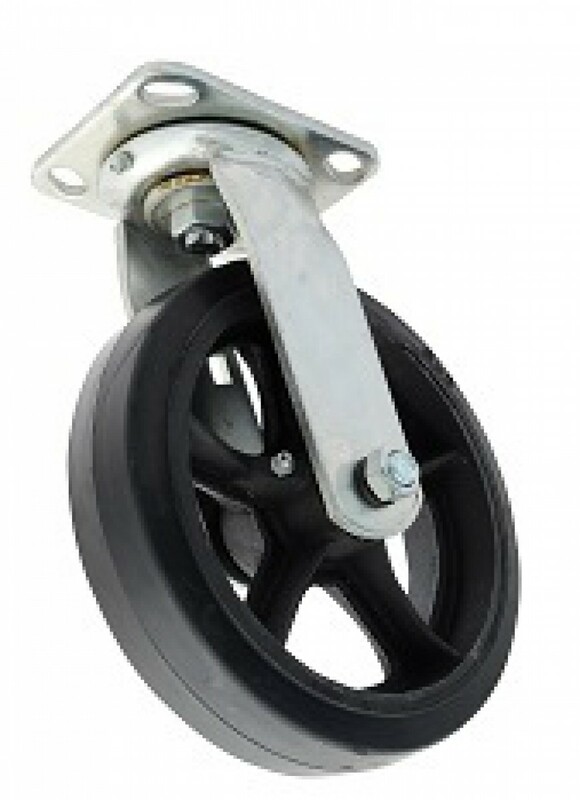 Because of the wide range of applications that they are used in, these material handling casters are typically medium duty casters. 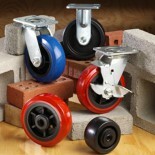 Material handling casters are available in many combinations of sizes, wheel types, and mounts. 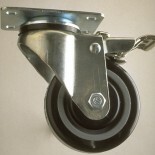 As the load capacity of the material handling caster increases, most of the casters are mounted with top plate casters. Threaded stem casters are available on some general purpose casters but become less common as the size of the medium duty caster increases. 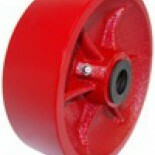 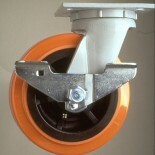 Grip ring stem casters are used primarily with light duty casters and institutional casters. 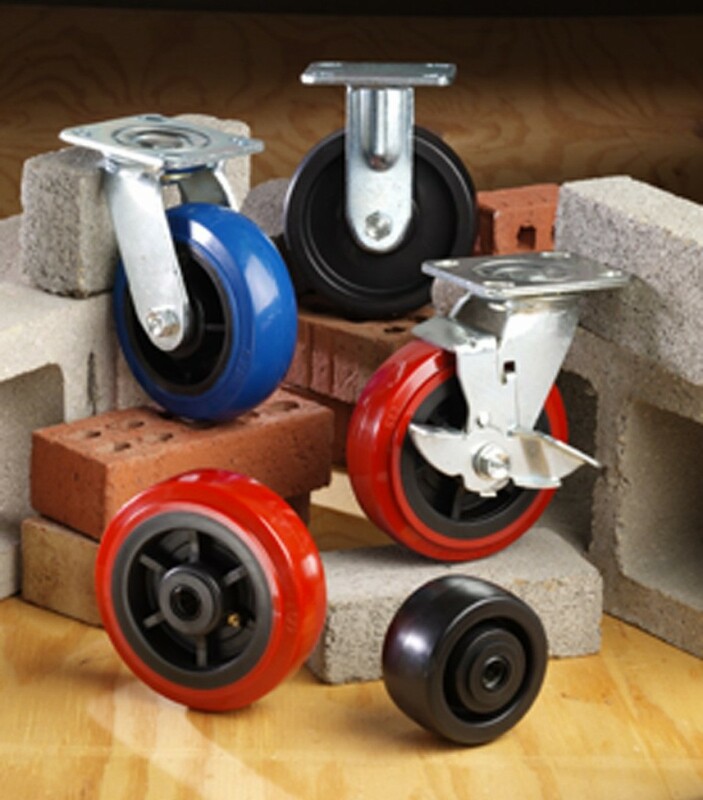 For material handling casters, general purpose casters, and medium duty casters, you can choose from many types of caster wheels including phenolic wheels, polyurethane wheels, polyurethane on aluminum hub, polyurethane on polyolefin hub, solid elastomer wheels, rubber wheels, steel wheels, polyolefin wheels, moldon rubber wheels w cast iron core, moldon rubber wheels w aluminum core, high temperature wheels, riveted disc wheels, pneumatic wheels, cast iron wheels, thermoplastic wheels, and more. 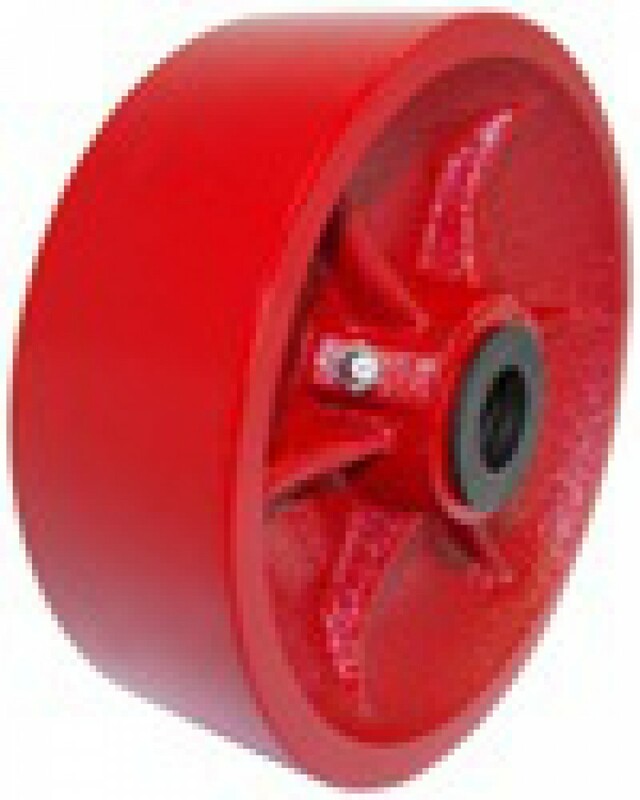 We can offer you a replacement to your existing wheel or, if you would prefer, we can upgrade the wheel to one that better suits your needs.